Feelings include happy, sad, angry, frustrated, disappointed, guilt, lust, love, joy, shame, pain and loneliness. And for many of us, we move through life pretty disconnected to how we truly feel, opting instead to convincing ourselves that we are “ok” or “not ok”, or “good” vs “not so good”. So how come the disconnect? Are we feeling the feels and just don’t have the language to describe how we are feeling? Or have we become conditioned to “I’m ok” as an easy way out? Or worse, are we hiding from how we truly feel? Now it’s only natural that we like and enjoy feeling the perceived positive, yummy, nice, fluffy, loving, fun and pleasurable feelings – who wouldn’t? And because we feel “good” feeling these feels, it makes sense that we are motivated to move toward feeling this way. It also makes sense that we are less inclined to want to connect or feel into the perceived negative, ugly, uncomfortable, vulnerable, yucky, painful, fear-based feelings…. Choosing instead to move away from or suppress what feels “not good”. Given these options, I have some compassion for why for so many years I tried to control, avoid and run from how I truly felt. Trust me, I did my best to create and connect to the former (#pleasureoption), whilst avoiding and pushing down the latter (#unpleasantoption). I had (& still have) many tactics to avoid connecting to feelings. Being busy, focusing on others, people pleasing, avoiding through distraction, addictions, relationships, & good old fashioned denial #didntevenknowiamlying…. among them. And although this worked temporarily, sometimes even for extended periods of time, the feelings I was so desperate to avoid, always caught up with me. And often the (perceived negative) feelings got even worse. Now I’m not saying that I’m a “feelings master” who has developed ultimate mastery over my feelings… but I can say that I am a little bit better at this whole “vulnerability is power” thing (thanks Brene Brown). I still have #uglymoments #breakdown #messyfeelings and sheer #theworldisendingmoments but my emotional fluency and resilience has definitely improved. 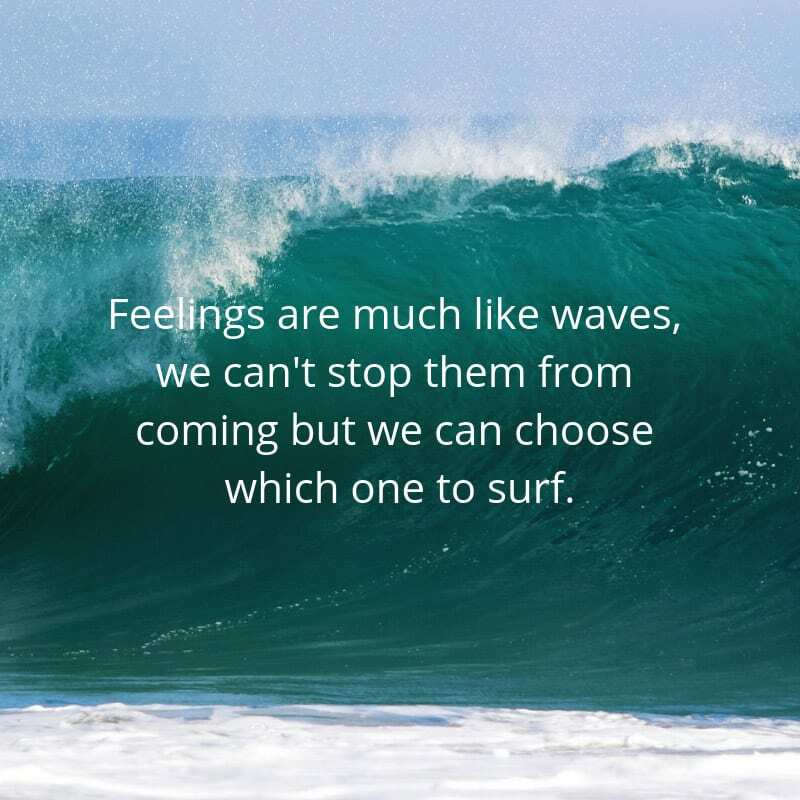 By improving my “feeling” repertoire I have increased my personal awareness of what it means to be human #perfectlyimperfect; I am able to connect on a deeper level & I can choose which wave to surf & which feelings need some extra anchoring.